Posted July 7th, 2014 by admin & filed under Blog, Reviews. As in 2006, the competitors will begin at what is usually the 17th. 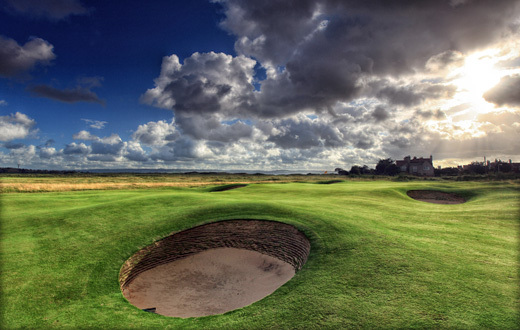 This is a shame because the regular 1st is Hoylake’s most memorable hole, turning sharply right at driving distance with the practice ground providing an internal out of bounds every inch of the way on the other side of little more than a speed bump. And although the crowds will be healthy, they will not reach 2006 levels. Around 200,000 fans are expected, compared to the 230,000 who flooded across the sun-baked links then. Still, after only 142,000 came to Muirfield in 2013, the R&A will be grateful to be heading for densely populated North West England.